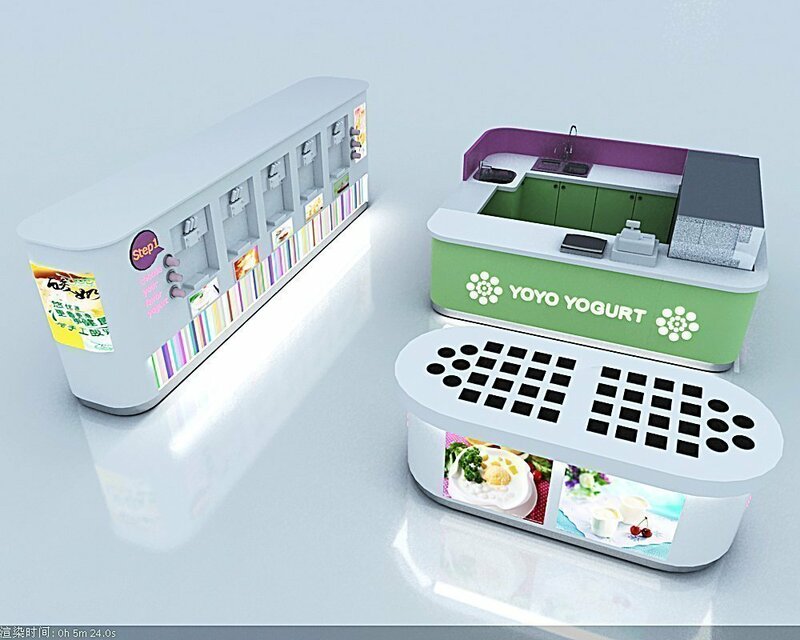 of a great yogurt , More and more business people start to opening a yogurt kiosk and shop in mall . 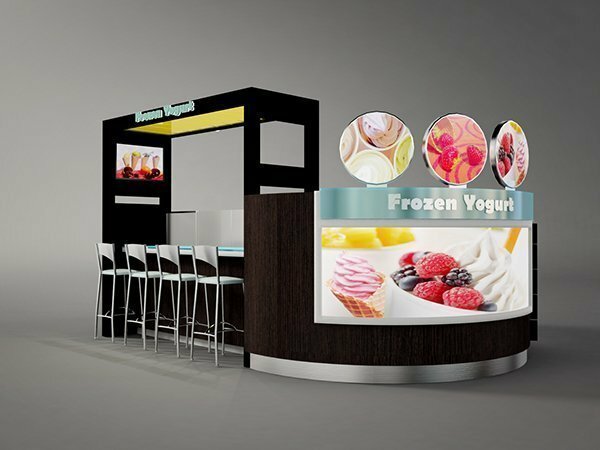 Most of Frozen ice cream kiosk is manufactured with plywood and lamination, the countertop is normally applied with a man-made stone which is hard, strong and beautiful. Most important thing in a yogurt kiosk is the topping part, because frozen has so many taste and flavors, so need many different topping to hold it what more important is the topping must be chilled , Most frozen yogurt kiosk manufacturers will choose to use Stainless steel to make the toppings some of them will also use food grade plastics. Where to buy a best quality mall yogurt shop furniture? Froyo store fixtures are very similar like ice cream kiosk in mall. Sometimes you can even change them in return. 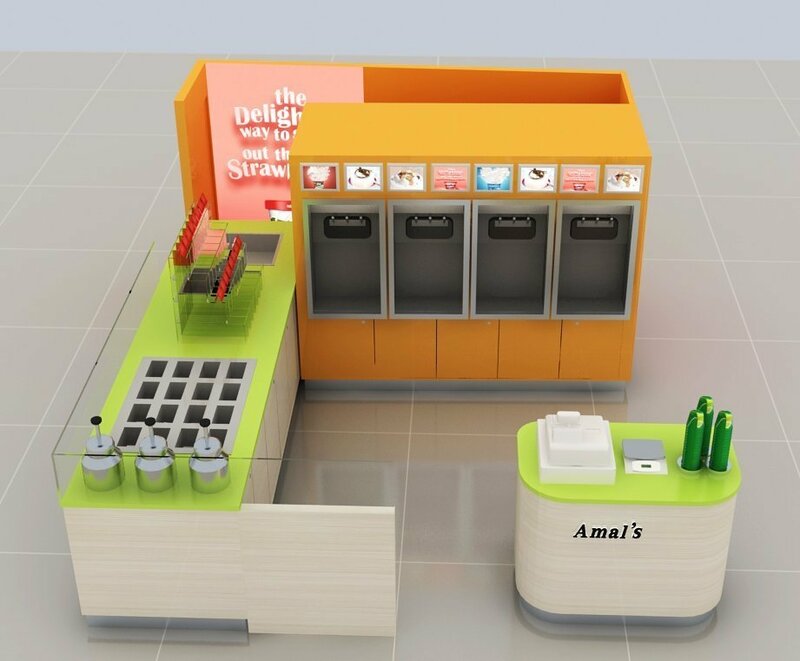 In fact, you can use ice cream kiosk to sell frozen yogurt or use yogurt store to serve ice cream. For many vendors will choose to do two business together. No matter which products you are selling. A unique design and high-quality kiosk is a key point to business success. 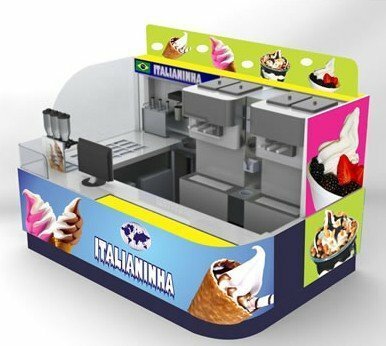 Unique kiosk is a professional mall used food kiosk manufacturer , we design and build customized frozen yogurt kiosk for sale. 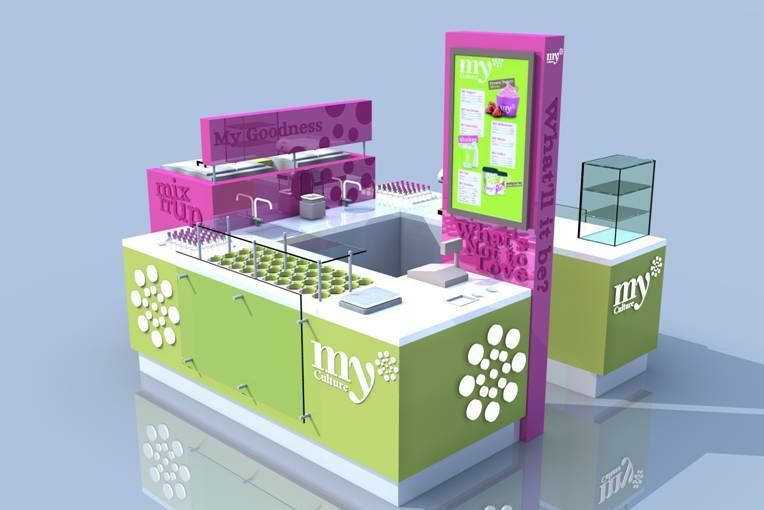 And provide best yogurt kiosk design and competitive kiosk price for you. 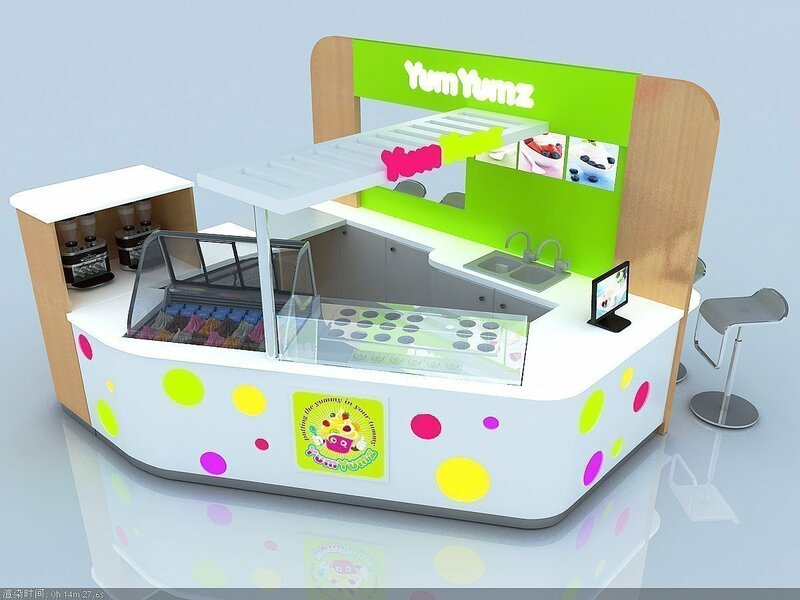 If you want to start a frozen yogurt kiosk business in mall or yogurt franchise business. Here is the right place to go . How to ship and install mall kiosk ? All the yogurt Kiosk in our factory Normally need about 3 weeks for manufacturing, We have over 50 skilled workers and guarantee a short delivery time. 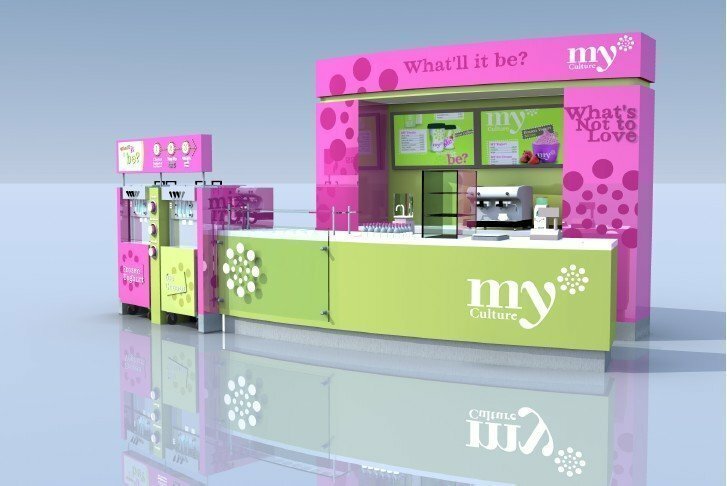 Unique has successfully built a kiosk for My culture Frozen yogurt which is franchise business all over the world. 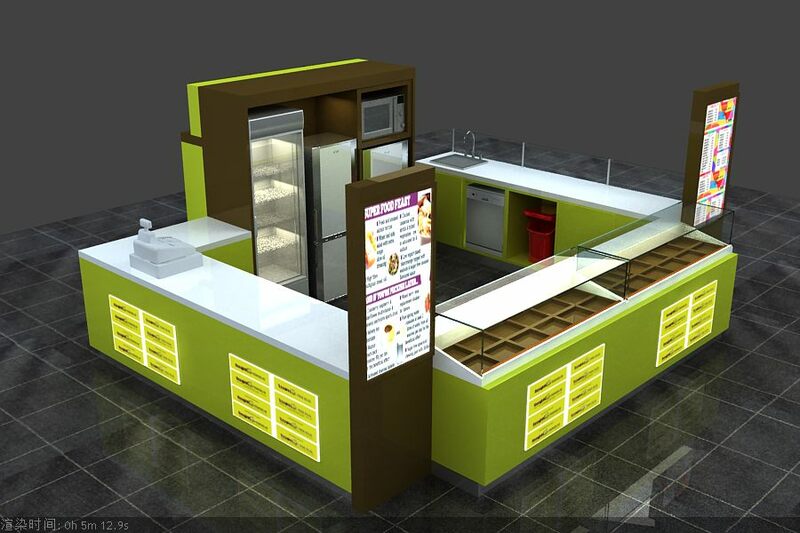 Our Mall used food kiosk and food stall are easy to assemble with high-quality materials. We design the kiosk in the best way for knockdown packing, Which will help you save a lot on shipping. What’s more, you do not need a professional team for installation, Our designer make accurate design and you just need 2 or 3 workers can finish it in 2-3 hours. 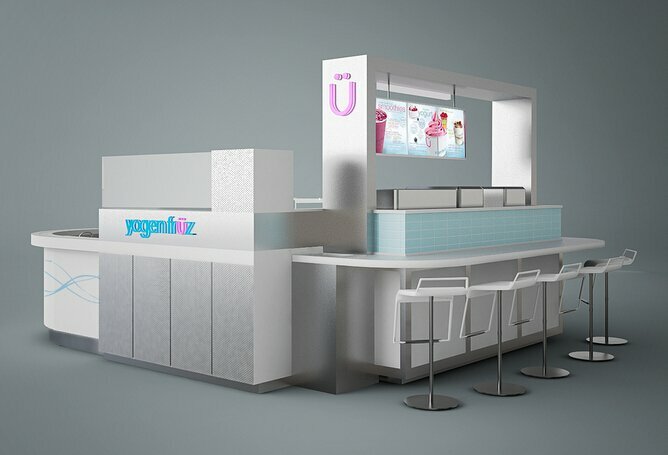 Unique Kiosk is a leading mall used frozen yogurt kiosk manufacturer. We custom design and build kiosk according to customer requirements. Here below are 5 reasons that give you confidence in getting a kiosk from Unique. 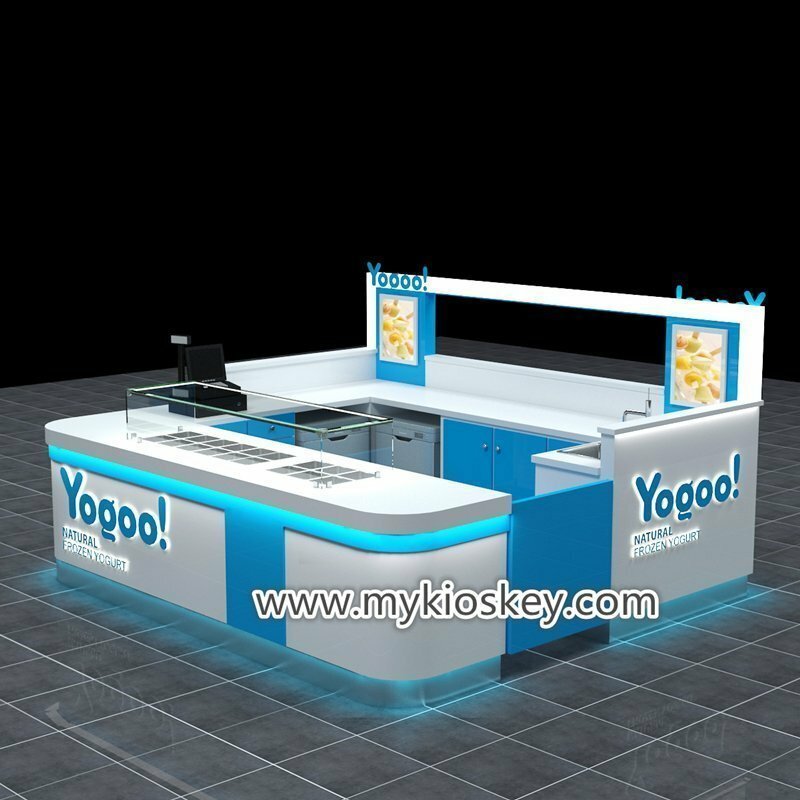 More than 15 years of kiosk custom manufacture experience allow us to provide professional kiosks and order procedure. Unique offer factory direct sell service. There no middle trading company. So, we can our clients a much better price. 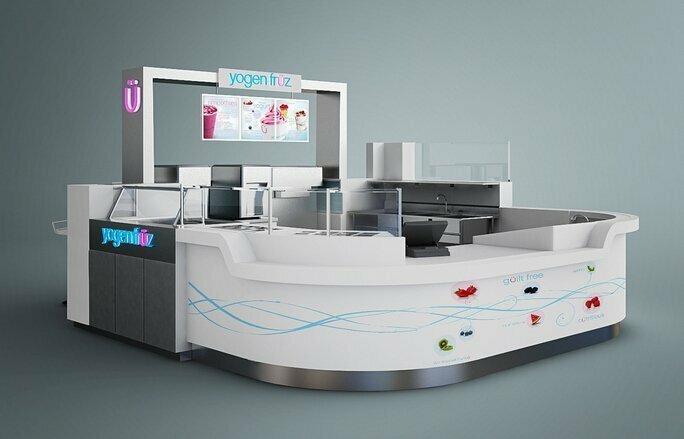 Over 200 skilled workers and talented design team to ensure you get an amazing and fantastic yogurt kiosk & store furniture display. Best Eco-friendly material used in building kiosks. We offer you a totally healthy kiosk from nature. Shipping & installation service support. When never you have any problem in shipping and installation, Our support team will give you 24×7 online support. 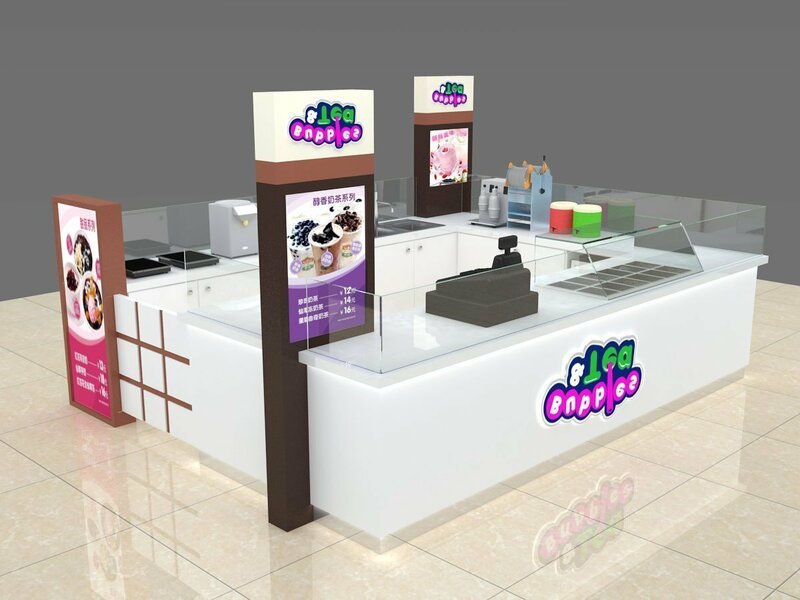 As we all know that, Self serve frozen yogurt franchise or frozen yogurt kiosk are very hot business ideas in mall. So, If you want to be outstanding and successful in such a business. 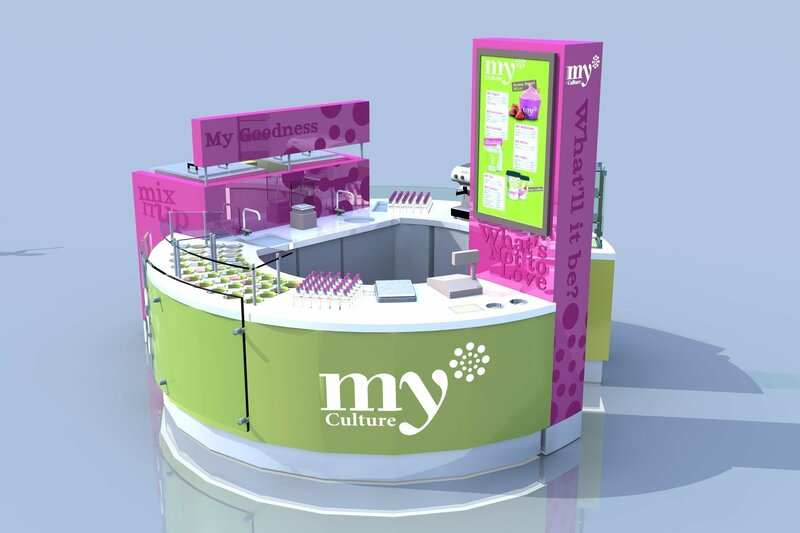 A well-planned kiosk design and professional finished work are so important. 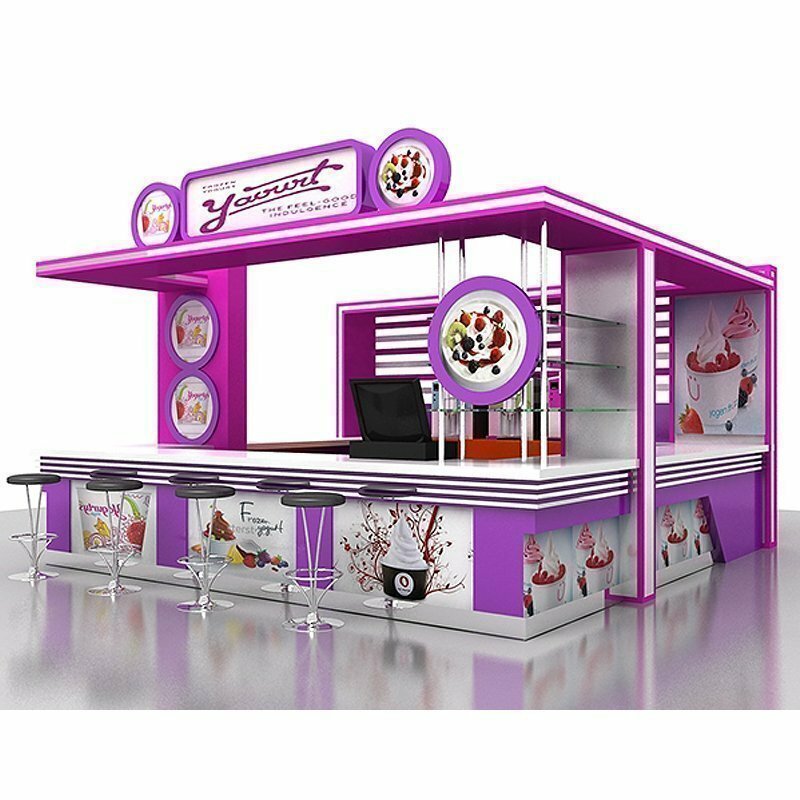 If you want to open a new yogurt kiosk or need yogurt store furniture welcome to visit us and find the best model you need.